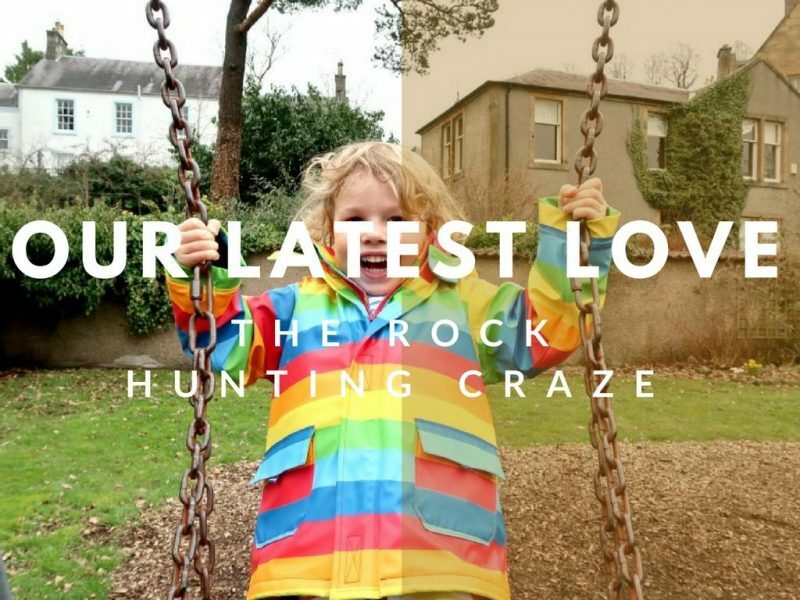 Our Latest Love, The Rock Hunting Craze! 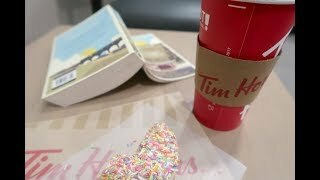 I’m sure most people have heard of the painted rocks that are created with love and left for others to find? It’s now swept all the way up here to Scotland and picking up speed. Someone recently set up a group near us and boy, have we jumped in with both feet!! It’s suffice to say that we love creating new rocks and hiding them just as much as we love to find them! 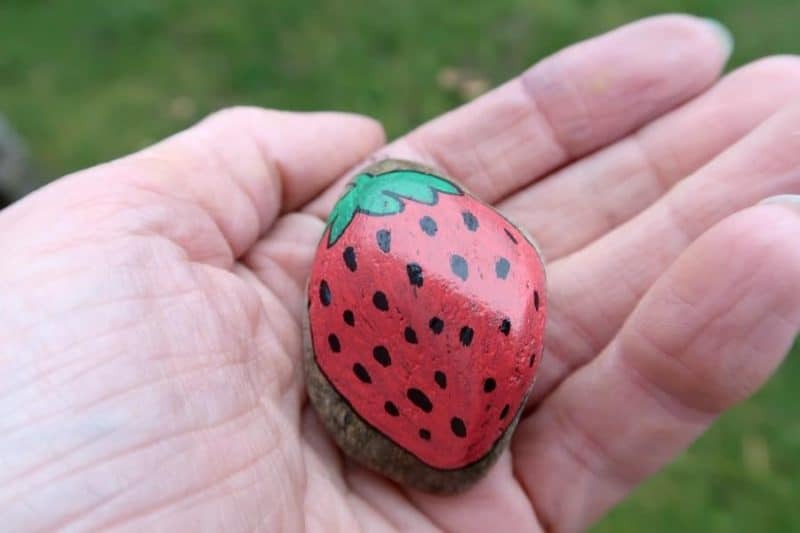 And not just the kids either, us parents have all had fun painting little (and BIG) rocks to hide around the local area. 2 Why Is It So Much Fun? If you are just getting into this craze then search on Facebook for your town/area followed by ‘Rocks’. 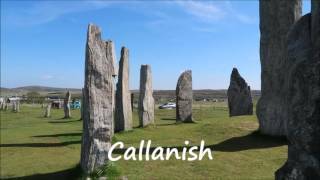 Up here there are lots of smaller town and area groups, but also ‘Scotland Rocks’ for wider searching. 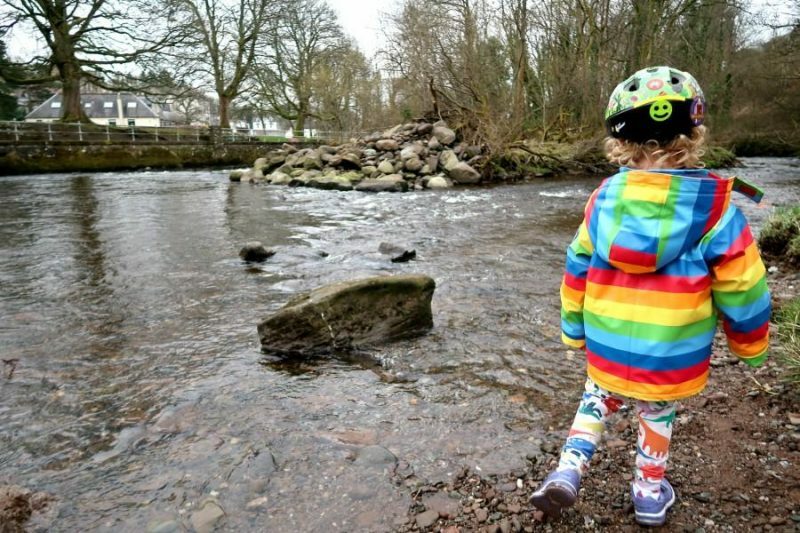 We’ve picked up a few stones from the local river banks and had a great time throwing in stones too! 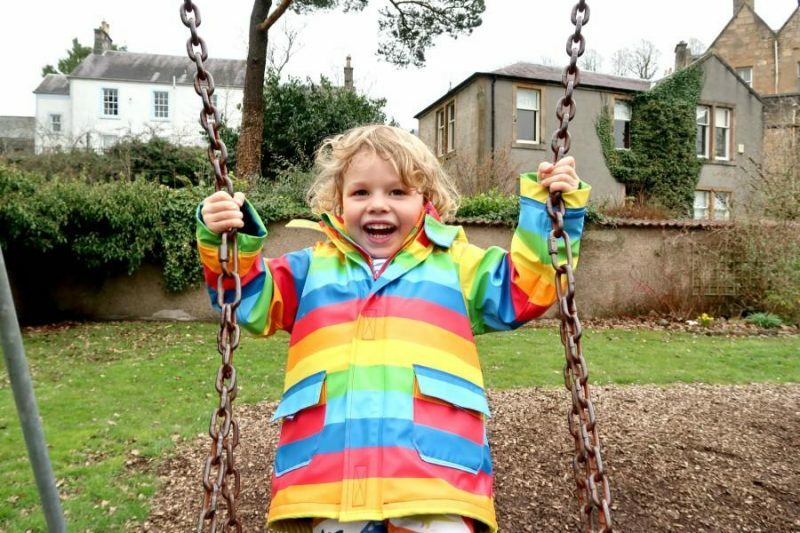 Littlest loves his new JoJo Maman Bebe rainbow jacket to keep him dry from the splashes. 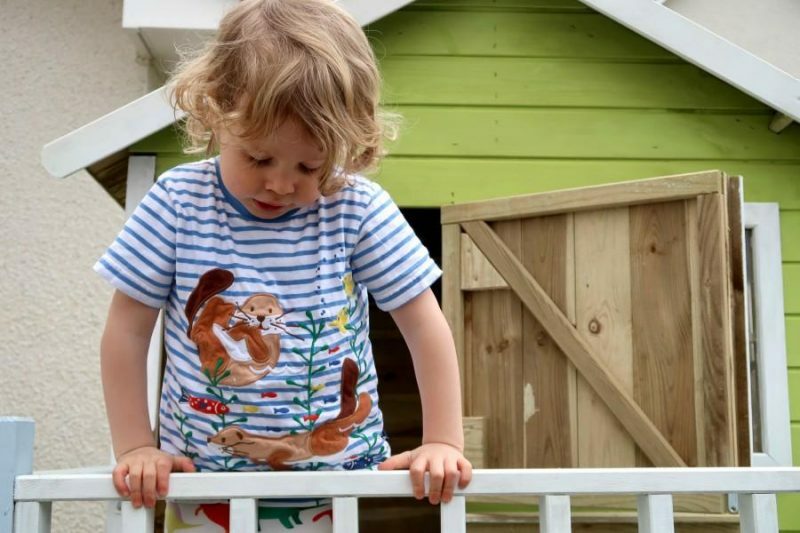 It’s fleece lined and great quality, so perfect to pop over a t-shirt on cool or wet days. It also brightens up the dull spring weather, you can hardly miss him walking along the riverbank! When you paint a rock, write on the back of the rock your local Facebook page name. We also write ‘post a photo’ and ‘re-hide’ as we love to see our rocks turn up in different places. Then varnish thoroughly so the paint doesn’t come off. Then you need to go out and hide your rocks! Places where children frequent are best, so parks, public gardens, around schools and libraries. Keep an eye on the Facebook page to see if someone posts pics of your stones. We’ve had one of ours head off to Canada to be re-hidden, but mostly they are re-hidden around the same town. Don’t forget to post photos of the stones that you find too, then their designer can see where they have ended up! Why Is It So Much Fun? It’s great fun because children are giving and not keeping something. They find delight in the treasure hunt, a bit like an Easter egg hunt, but for rocks that they can’t eat. Ha ha! Even my 4 year old loves painting and hiding stones, excited to see his stones appear on photos of ‘finds’ on Facebook. 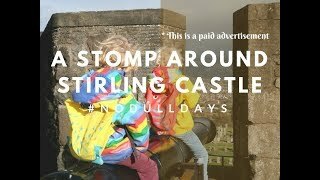 Of course it’s also an easy way to get reluctant walkers to go out for longer walks or get out on the school run quickly! With the weather getting warmer it’s the perfect time to get into this craze! 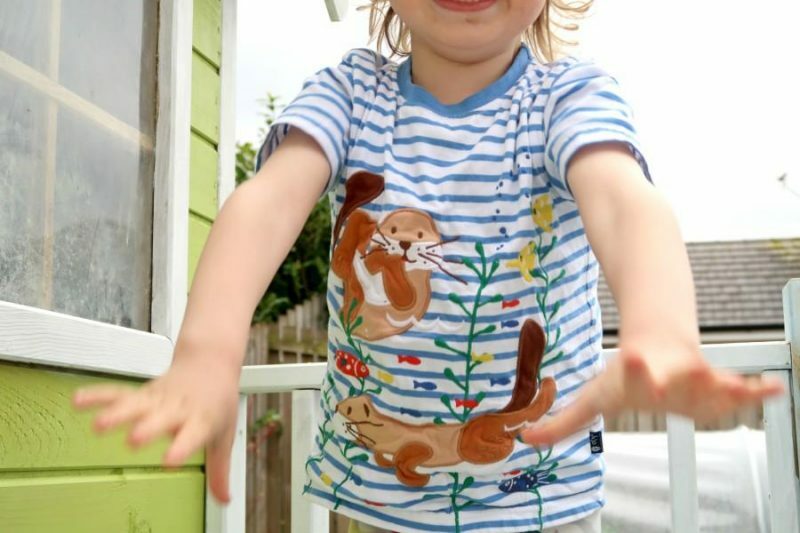 Littlest has been painting new rocks in his new otter t-shirt from JoJo Maman Bebe, great inspiration for more rock painting! I think we will be creating many animal themed rocks at his request! I’m just glad that we can finally wear t-shirts outside again and enjoy some sunshine! 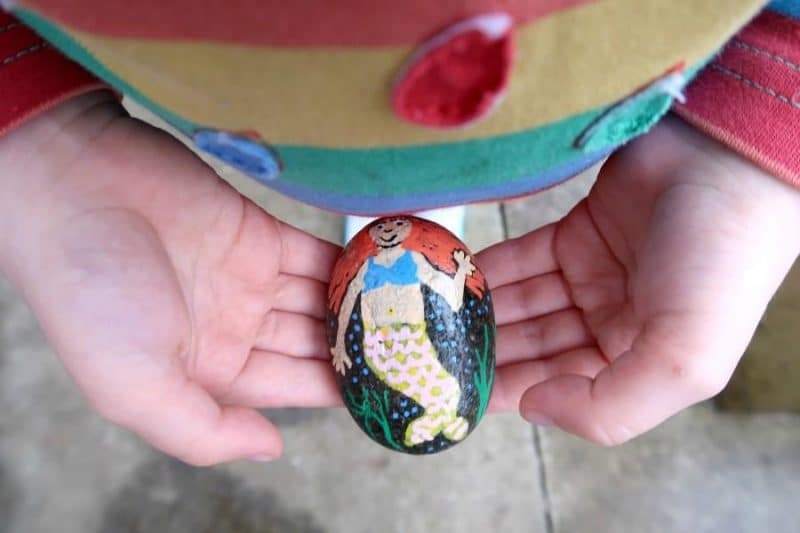 Happy rock painting and finding! * Jacket and t-shirt were provided to us by JoJo Maman Bebe free of charge, however all opinions and rock hunting obsessions are our own.